PDi constantly strives to bring the latest thinking and innovation to projects with which it is involved. Over the years PDi has developed and supported innovative software to assist in the effective performance of offshore projects. PDi's engineering and software development teams have developed an app to assist Project Engineers in the performance of catenary calculations. 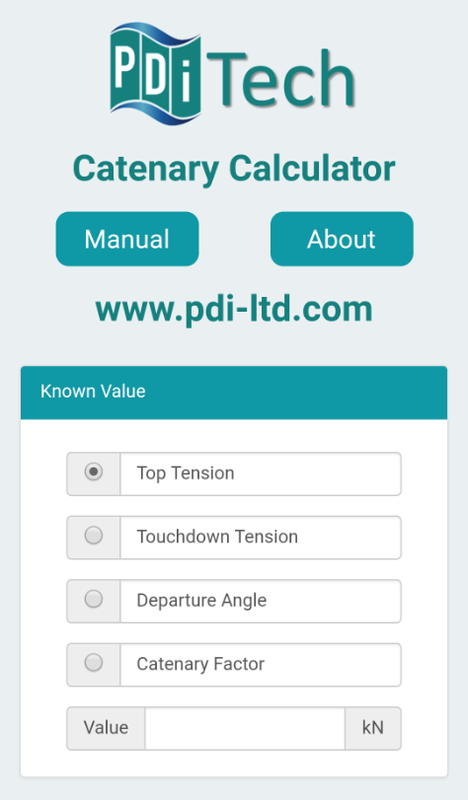 PDi's Catenary Calculator provides an estimate for the length and layback of a catenary. The calculation uses the catenary curve equations to derive the values for suspended length and layback. In this calculation, the effect of the stiffness of the product is not considered. 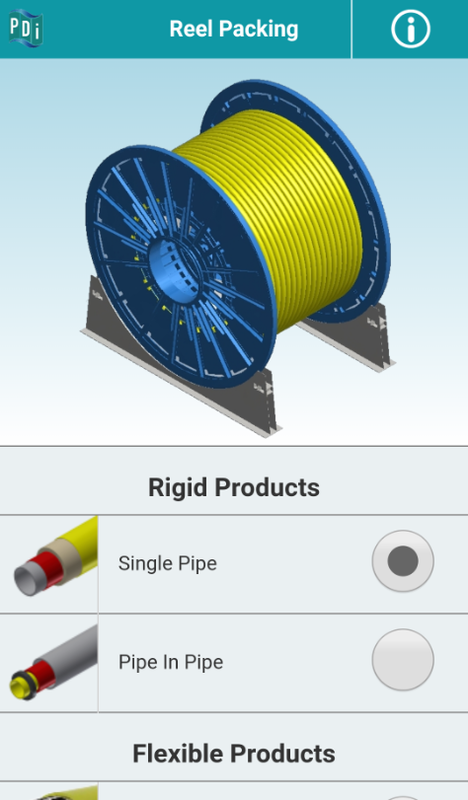 PDi's engineering and software development teams have developed the second app called "Pipe Weight Calculator". 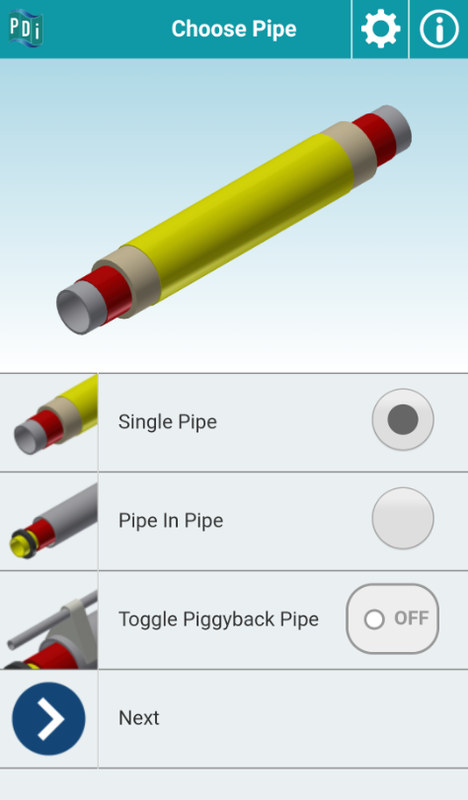 The app calculates the in air and submerged weights, buoyancy and Specific Gravity (SG) of various pipe types including single pipe, pipe-in-pipe and piggybacked pipes.  The app is a quick and handy tool for pipeline and project engineers. Once the app is installed on your device, there is no need to access the internet to use it. 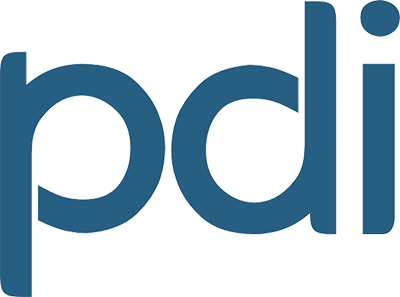 PDi's Reel Packing Calculator app provides the packing arrangements for rigid and flexible products. There are two options for each type, single pipe and pipe-in-pipe for rigid types and flexible and umbilical for flexible types. The rigid product is packed on a reel. The flexible product can be packed on a reel or carousel. For the reel, two packing configurations are available in the calculations, stacked and meshed. PDi's DynaFlex is a software that fully automates Orcaflex dynamic analysis. The software has a user-friendly interface and can be used for all types of analysis including rigid pipeline, flexible & umbilical installation analysis, structural deployment analysis, mooring analysis and in-place analysis. This development means no time is needed for post-processing, and results are presented in a ready to use format, increasing the efficiency of the analysis and preventing mistakes. DynaFlex is a multi-threading software with the ability to add and run an unlimited number of analysis. The software provides a table of allowable wave heights, based on the limits which are defined by the user, and can have an unlimited number of Orcaflex variables, with the values being extracted and reported. For more information about the software, contact software@pdi-ltd.com.